Okay this one is pricey but if you are looking for a set of stamps and dies that will cover just about ever occassion you could ever need and back again this set is it! Okay, so this set is pricey, but WELL worth it! 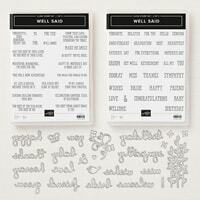 If you are looking for a stamp and die set that will cover pretty much every occasion and back again this set is it!! The stamp set is cute and versatile but HELLO those stitched shape rectangles are amazing! the stitch on both inside and outside of the die cut and come in SO many sizes. Perfect for card making, scrapbooking and other crafty projects. 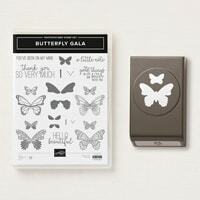 This stamp set is gorgeous and the punch makes crafting with it super simple. Great for simple stamping and ll your favourite colouring techniques.